‘Comet Observing’ by Guy Hurst. The talk will cover the history of great comets of the past together with their cause and links to the Oort Cloud and Kuiper Belt. However the main thrust of the presentation is to explain their features and observing techniques needed to study or even discover (!) 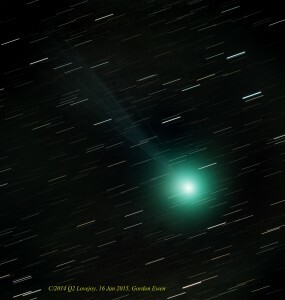 the latest comets and how to report this to TA and the BAA. There will be a break for refreshments and an update on recent astronomy news.